Feline worms are usually parasitic organisms such as tapeworms, hookworms and roundworms. A ringworm, on the other hand, is actually a fungal skin condition. 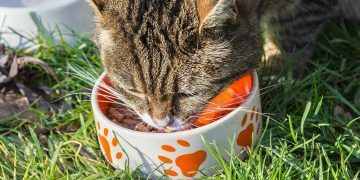 While outdoor cats may be more prone to worms than indoor cats, worms in cats are an issue that all pet owners must be aware of. Early detection is key to avoiding complications with worms. 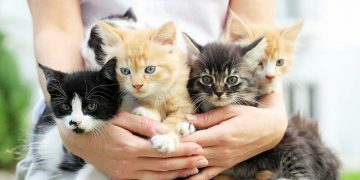 Kittens are especially prone to anemia that may result in death, since they may have contracted worms while still in the womb of an infected mother. There are several things to watch for when identifying feline worms. Tapeworm in cats is easily identified in the stool, since they shed flat whitish segments of themselves which are observable to the naked eye. Tapeworms are usually contracted when a cat ingests an infected flea while grooming. Roundworms and hookworms are ingested through feces, contaminated food or through the mother’s milk. Both are especially serious in kittens, where anemia (hookworms) or intestinal blockage (roundworms) can be fatal. Cats infected with hookworms may become lethargic and refuse to eat. Roundworms can cause the stomach to feel swollen and hard. Both can be identified through a stool sample. Ringworm in cats causes a circular lesion on the surface of the skin and is easy to spot. Patches of hair loss is a common symptom. Sometimes, frequent scratching of the infected areas may be observed. 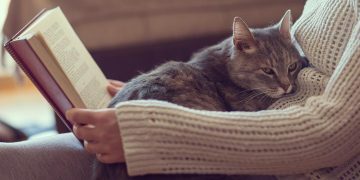 Roundworms, hookworms and tapeworms in cats can be treated with deworming medication immediately upon diagnosis from a veterinarian. While cat worms can be treated with over-the-counter medications, it is best that a vet confirms the diagnosis first. Tapeworms can be prevented with monthly flea treatments. Ringworm in cats is caused by direct contact with another infected animal or person. It can be treated with moderate success by using an anti-fungal shampoo used three times every other day. A less stressful treatment is a ringworm medicine administered in tablet form. Ringworm can be prevented with a ringworm vaccine, which will build up an immunity to the fungus in the cat. Prevention or early diagnosis is important to ensure that cat worms are dealt with before any complications can occur. By watching for early signs and promptly seeking treatment, all types of worms can be treated, ensuring the continued health of the cat.